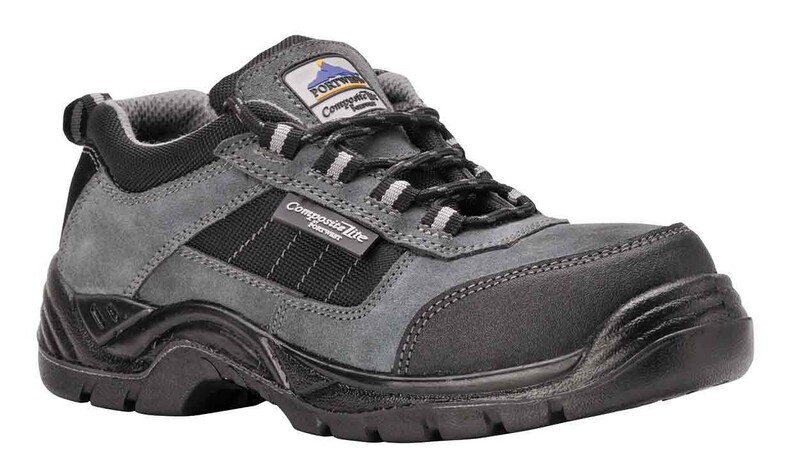 A low cut, hiker style safety shoe in a non-metallic design from Portwest. 100% non-metallic, the Portwest FC64 is a low cut hiker style safety shoe with a 200 joule composite toe cap and PU outsole. The lightweight design of this shoe ensures all day comfort. Conforms to EN ISO 20345.